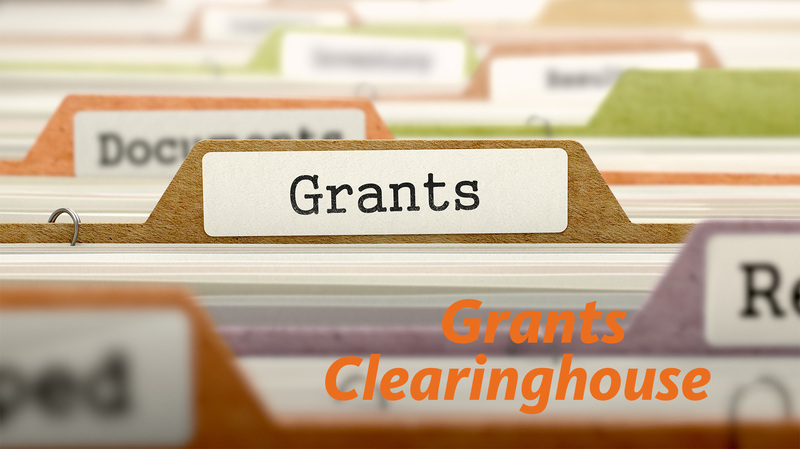 Welcome to LeadingAge Kansas' Grants Clearinghouse! This list is a sampling of grants and funders that are available in Kansas, have a special focus on education, or have a special focus on aging issues. Visit our Grant Tips Page to learn more about writing grants and access links to do a more in-depth grant search. Do you know of a foundation that isn't listed that could benefit our members? Let us know and we will get it added! The project benefits low- and moderate-income individuals. The project removes or prevents slum or blight condition. The project eliminates an urgent need created by a disaster when local funds are unavailable. Each year since 1994, the Kansas Community Service Program (CSP) has given nonprofit organizations a way to improve their ability to undertake major capital fund-raising drives for various projects. This year, $4.1 million of tax credit has been allocated and will be awarded to selected nonprofit organizations to offer Kansas tax credits for contributions made to approved projects. Information Released in January each year and deadlines are generally the first of May of the same year. The Impact and Capacity Grants Initiative replaces the Recognition Grant Program, to fund efforts that align with the KHF goal of reducing health disparities. The Impact and Capacity Grants Initiative is focused on two categories — impact grants (work in key health impact areas) or capacity-building grants (to build nonprofit capacity to address health disparities). This is an open application process, starting February 1, 2017, and is open through September 15, 2017, or until all 2017 funds are awarded. Grants are limited to a maximum of $25,000 and one grant award per year. February 1 through September 15 of each year. Open until all funds are awarded. The Retirement Research Foundation (RRF) is devoted to improving the quality of life for older adults, especially those who are vulnerable due to advanced age, economic disadvantage or disparity related to race and ethnicity. RRF fulfills its mission through grant-making programs which support innovative advocacy, direct service, professional education and training, and research projects that benefit older Americans. RFF is currently accepting grant requests for projects that improve quality of life for older Americans through direct service, advocacy, education and research. The Retirement Research Foundation acknowledges the time and effort needed to submit a proposal and invites interested applicants to submit a brief Letter of Inquiry (LOI). This step is optional, but may offer valuable feedback as you prepare a full proposal. An LOI may be emailed to [email protected] as a Word or PDF attachment. To allow enough time for feedback, please submit LOIs at least six weeks prior to the application deadline. Organizational Capacity Grants: February 1, May 1, and August 1. Our efforts focus on fostering environments that promote health and on improving how health care in America is delivered and paid for, and how well it does for patients and their families. Our work is guided by a fundamental premise: we are stewards of private funds that must be used in the public's interest. Our greatest asset isn't our endowment; it's the way we help to create leverage for comprehensive, meaningful and timely change. We create leverage by building and sharing evidence, new ideas, and expertise. We promote change through partnerships and collaboration, with the goal of building a culture of health for all Americans. Health Care - Improving Access to Health Care. Healthy Living - Living Healthier Lives. Sunflower's request for proposal process and focus varies throughout the year. Visit their webpage and sign up for announcements to stay updated on the latest RFP. Create a viable set of options that will enable working families to pay for future long-term care needs.